BERLIN—Banners hanging from apartment windows in what was formerly East Berlin proclaim “This is Karl Marx Allee, not Commerz Allee!” Tenants all over this city, but particularly these days in what used to be the capital of East Germany, are marching, rallying, and flying banners outside their windows to protest attempts by voracious real estate moguls to take their homes and sell them off to wealthy people. In the eastern part of Berlin, along Karl Marx Allee, the German gentry has its eyes on apartments that were built more than 50 years ago for thousands of working-class people in the massive housing programs launched by the former socialist German Democratic Republic. 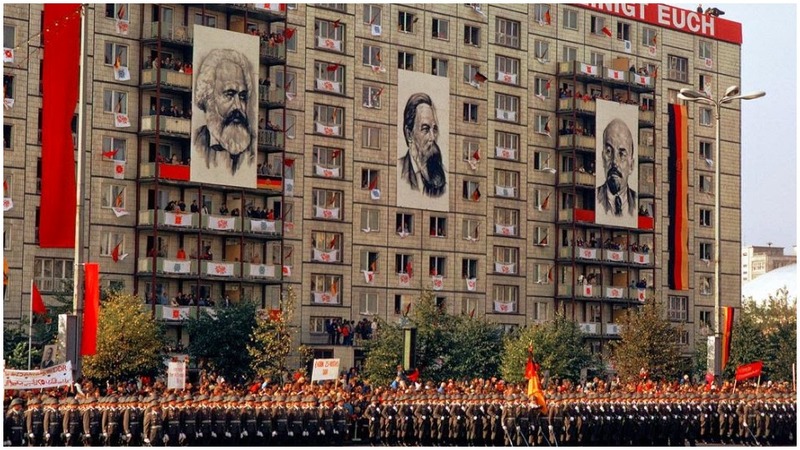 The seven-to nine-story apartment blocks flank Berlin’s main avenue, named after the German political philosopher who wrote The Communist Manifesto and Das Kapital. “Even after the end of the unification in 1990, for the first few years the people living in the apartments along Karl Marx Allee enjoyed low rents compared to what others paid in western parts of the city,” said Victor Grossman, 89, an apartment dweller living on that street today. Back in 1961, Grossman, along with his pregnant young wife and their one child, moved into one of the then-new apartments lining Karl Marx Allee in East Berlin. Back then the Grossmans, with a combined income of 1,500 marks per month, paid only 114 marks in rent. Now, a widower with one son living elsewhere in Berlin and another living overseas with his family, Grossmann pays 650 Euros per month for that same apartment. 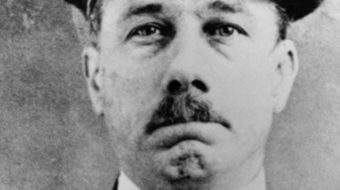 His rent is considered extremely low, however, with most of his neighbors paying a lot more. On Karl Marx Allee and elsewhere in Berlin, those living in apartments bought up by real estate developers can end up losing their homes altogether because they cannot afford the exorbitant rents that will result. Deutsche Wohnen, the largest property developer in Berlin, has purchased 700 apartments along Karl Marx Allee with the aim of turning them into expensive condos. Hundreds of Grossman’s neighbors are up in arms over the sale of their apartments to the real estate giant. The street was proudly displayed by the socialist government of East Germany as an example of what could be done to house large numbers of people by a society based not on profits for big companies but on meeting human needs. Many in the West scoffed at the massive new housing projects that went up in the 1950s along what was first called Stalin Allee, declaring that they were esthetically drab-looking blocks that were unpleasant to look at. After Joseph Stalin’s death, the name of the boulevard “thankfully was changed to Karl Marx Allee” in 1961, Grossman noted. Before and after German unification, the apartments along the wide boulevard were also derided in West Berlin as examples of how the socialist government of the GDR was trying to make its part of Berlin look like Moscow. 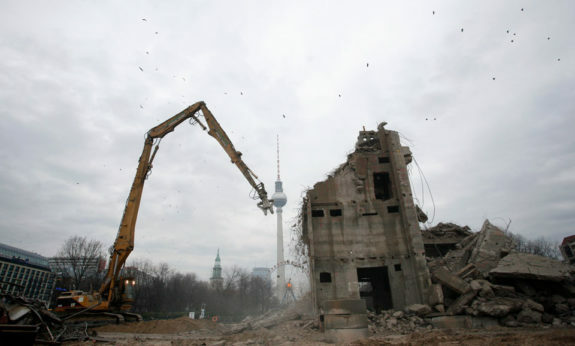 At first, after unification in the 1990s, the Berlin city government, pushed by major corporations, began tearing down what it considered unacceptable symbols of the Communist past. Such was the case, for example, with the huge and popular Palace of the Republic on Karl Liebknecht Strasse, not far from Karl Marx Allee. The palace was a free cultural and meeting center heavily used by East Berlin’s working people. The mirror-finished exterior walls of the structure reflected the beautiful Berlin Dome cathedral across the street, creating a stunning sight at the intersection of the famed boulevard Unter den Linden and Karl Leibknecht Strasse. The palace was torn down despite its sturdy construction and over the protests voiced at countless demonstrations by East Berliners. Any thoughts of tearing down the massive apartment buildings on Karl Marx Allee, however, were quickly shelved when it was realized the GDR had constructed them so solidly that demolition would be too expensive. 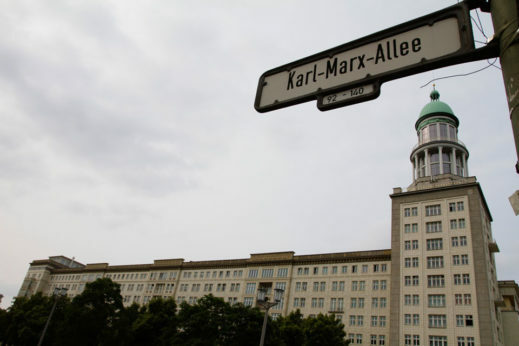 Even the attempt by the newly unified Berlin city government to change the name of the street to something other than Karl Marx Allee was met with protests from the people living there. The name change plans were dropped. Deutsche Wohnen is adding its 700 Karl Marx Allee flats to the 10,000 it has already swallowed up in other parts of Berlin. But it’s now facing protests by tenants all over the city who are gathering hundreds of thousands of signatures in a campaign to place on the ballot a measure that would allow the city to expropriate Deutsche Wohnen’s property. The campaign has the backing of the Left Party (Die Linke) and the Green Party, two of the three political parties that form Berlin’s governing “red-red-green coalition.” The city’s Senate consists of five members each from the Social Democratic Party, Die Linke, and the Green Party. 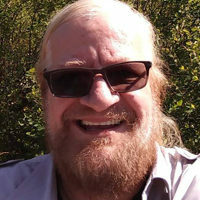 The mayor is a Social Democrat, and he is considering support for measures like the one tenants are organizing for, although his party has not yet taken a position on the petition drive. 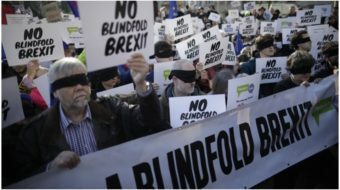 During the weeks leading up to Christmas this year, protest banners hanging from the windows of apartments were as prominent if not more so than the Christmas decorations in the windows of shops on the ground floors of the buildings. Now in mid-January, the banners are still there. Deutsche Wohnen has said that it will not give up the 700 apartments it already owns but that it will not raise rents on people who now have leases. Those assurances are of course meaningless to tenants because they are essentially a promise that rents could skyrocket as soon as current leases expire. Up until about 2008, 19 years after the demise of the GDR, people living in the apartments continued to enjoy reasonable rents, often cheaper than what tenants in West Berlin were paying. This is despite the fact that the Karl Marx Allee apartments are only a stone’s throw from the Alexanderplatz, which became the heart of all of Berlin after unification. It had been the center of public life in the old East Berlin. Since 2008, however, the gentrification happening elsewhere increased sharply in Berlin. An estimated 40,000 people who are in the upper-income brackets have been moving into the city annually. Foreign investors and low interest rates have added to the upward pressure on the cost of living and rents in Berlin. It is just one more example of how the demise of the GDR has hurt not just the working people who formerly lived in the socialist East but also those who lived in the capitalist West as well. The presence of good, cheap housing in the GDR served as a downward pressure on prices for workers in West Germany. That downward pressure on prices no longer exists. The result in Berlin has been a doubling or more of rents since 2008, sparking the anti-gentrification and tenant protests that Die Linke has been supporting. There have been some victories. Google canceled plans to turn a former electrical substation in the Kreuzberg neighborhood into a high-tech campus after months of protests in that area. Kreuzberg, long a poorer neighborhood with a large Turkish population in what was West Berlin, is now considered a “trendy” area where rents are going up and poorer tenants are being pushed out. The hope is that by canceling the Google campus that trend can at least be slowed somewhat. Worry about the shortage of affordable housing prompted Berlin’s Social Democratic mayor last August to say the city was considering barring foreign investors from buying real estate in an attempt to slow the rise of rents. The district of Friedrichshain, which used to be in East Berlin, has exercised its first right of refusal to sell to private developers and has purchased apartments that real estate companies had been eyeing. In the old days of East Berlin, of course, private real estate moguls had no say over what happened in the Freidrichshain—they didn’t exist. What some people fearful of becoming homeless in united Germany wouldn’t give for a return of those old days!